Giving up just isn’t an option for true fighters, and this one is a prime example. A budding volleyball and football player, Arunima Sinha’s sporting dreams came to a standstill when she was pushed off a running train in 2011 and rendered disabled. 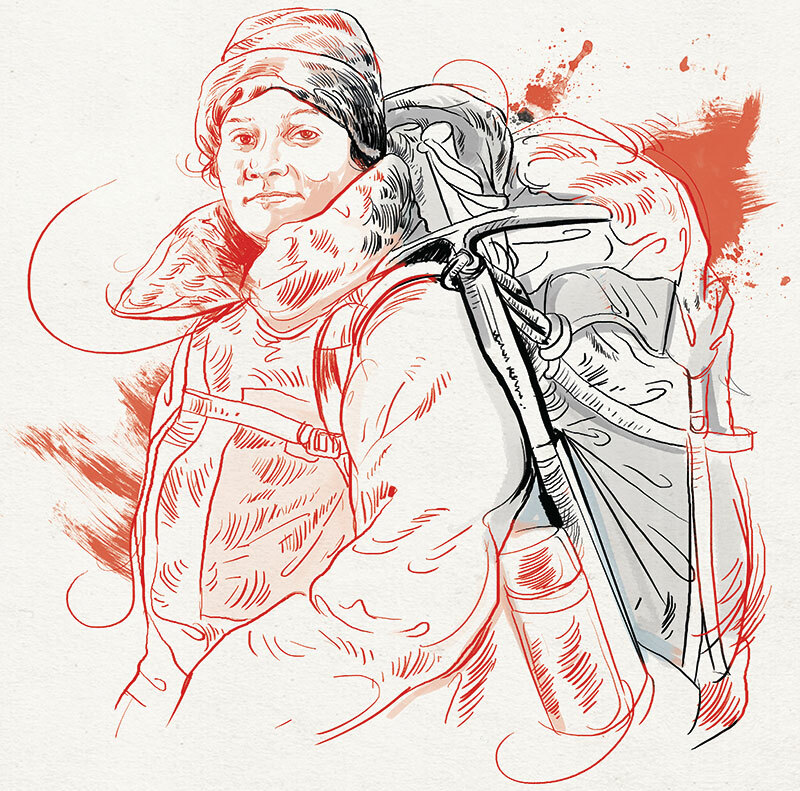 But soon after, she decided to reach for the skies — quite literally — and became a mountaineer, with the aim to scale peaks in all continents. Last July, the gritty Sinha conquered Carstensz Pyramid, the tallest mountain in Indonesia — and is already gearing up for her next challenge. As a child, I did not know much about mountaineering but I had read about a few mountaineers like Edmund Hillary. Volleyball and football were my favourite games and I played both at the national level. I wanted to pursue them, but after the accident I couldn’t. When at a young age you lose a limb, it feels as though your life has ended. I was bedridden after the amputation and couldn’t move. I had three fractures in my spine, had broken both my elbows and had other severe injuries. I couldn’t even go to the loo alone and felt dead. But I shoved it all aside and thought whatever people think or say, I will prove them wrong. It was in hospital that I made my mind up about mountaineering. I may have been 70 per cent dead but the remaining 30 per cent was still alive — and I poured all my life into it. I believe there are two types of people in this world. The first will take every obstacle in a negative light and bring down their own morale. And the second, who will take every obstacle as a challenge and do better in their lives. Perhaps I am among the latter. The mountain does not give you a second chance. One mistake, and it’s the end of the story. A lot of people said I was crazy to do this. But there were also a lot of people who said ‘You can do it’ and ‘It’s possible’. Those good thoughts were very important — I am here today because of that. Even though I haven’t studied at an IIT or an IIM, I now go there to give talks. Noted people like Ratan Tata and Prime Minister Modi know of me and cite my example to people during speeches on empowerment. Today, I have become a role model for the youth of our country. If I can be handicapped and manage such daunting tasks, then why can’t those with perfectly able bodies do the same? Swami Vivekananda is my role model; I still read and follow his quotes today. Bachendri Pal and my mother are my other idols. Even after facing multiple difficulties, they are always smiling and happy. Yuvraj Singh, who has battled cancer, continues to play good cricket. So if he can defeat cancer, I too can live the life of my dreams. The number of highs and lows a sportsperson handles in life is not something the common man can deal with very easily. I wouldn’t have been able to go through the pain of losing a leg and create new records if I wasn’t strong enough — it’s the fighting spirit that got me through it all. In December, I am set to scale Antarctica’s tallest peak. I have also established an international sports academy for the disabled. We have around 160 kids as of now who are amputees, blind, or handicapped in some manner or the other. I want to give them a platform to do something in life. After joining the academy, these kids have gone to Bulgaria, China and Uganda to play. It is our responsibility to give them good training. This is what I want to give back to my country.